Our task today was to design a box to hold an egg steady inside. Everyone made a repeating pattern to decorate the outside of the box. It was a tricky task, especially trying to cut out and stick the box together! 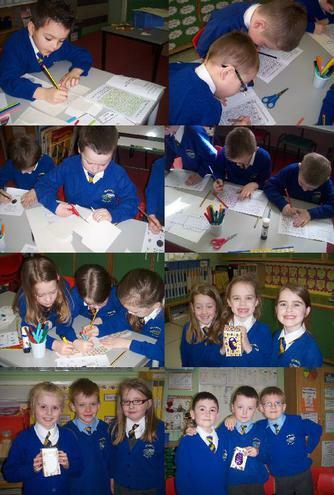 Everyone worked well together in their groups and we all enjoyed the day.